On Friday 5th October Dean from Operation Smile came to St Stephens to give us a short talk about the charity and what they do, and also how we at SIS can support them. 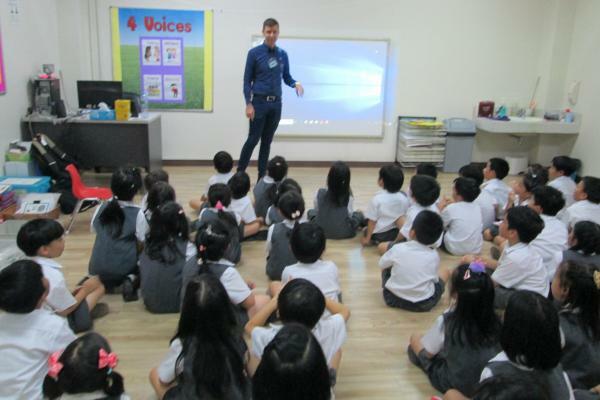 Dean spoke to Year 1 and the Operation Smile Club about all of the good work Operation Smile does in Thailand and around the world, where they now help children in 66 countries. The children learned that 1 in 700 children are born with a cleft lip or cleft palate which means that around 2000 children are born with these conditions every year in Thailand. He gave a lot of information to the children and now they are all very excited to help raise money for the charity.